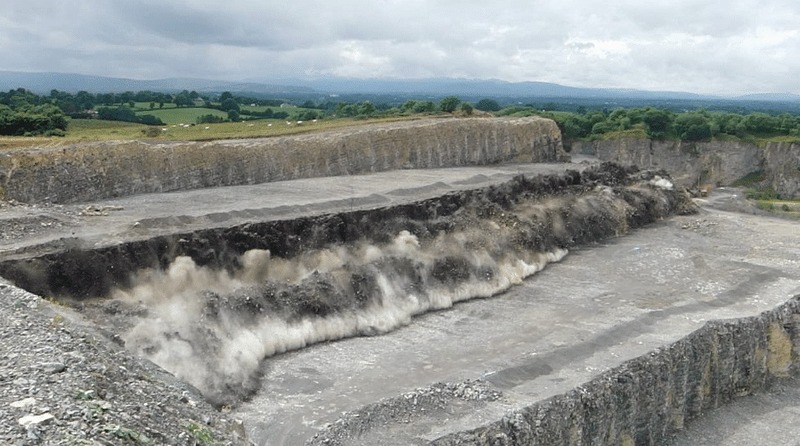 To ensure the efficient use of explosives within the blasting process, and comply with the Quarry Regulations, Irish Industrial Explosives provide a Electronic Borehole Survey service to its customers. An electronic borehole survey provides an easy way to audit drilling activity accurately. Borehole deviation happens, but without a reliable way of measuring it and taking the actual results of drilling activity into account, quarry owners can spend more than they need to on breakage, transport, explosives and fuel costs. They also risk worker safety and that of others working or living near blast sites. Borehole deviation isn’t a rare occurrence. Whether it’s the experience of the driller, the quality of the equipment, the angle drilled or the local geology, boreholes frequently deviate from their intended path. In the past, there was no easy way to measure deviation. Mechanical methods lacked accuracy, so Irish Industrial Explosives decided to implement the electronic borehole system. Used in conjuction with the Quarry Face Profile, the data retrieved can be integrated into the design software to produce a detailed analyse of the drilling activity and its impact of the site to be blasted. Deployed from the quarry top into the drilled borehole, the electronic probe measures hole depth, angle, azimuth and deviation. With this information our Technical Service Engineers can eliminate the risks associated with incorrect borehole data, like flyrock caused by poorly drilled and designed blasts. The Electronic Borehole Survey is included within the scope of the Irish Industrial Explosives ISO 9001 Quality Management System. As such, customers can be assured that personnel have the appropriate skills and experience to deliver this service and that the equipment used by them is properly maintained and calibrated to provide the necessary confidence.